Many organizations and individuals face employee theft and embezzlement each year. Embezzlement is theft or misappropriation of funds by employees. According to a 2012 report from the Association of Certified Fraud Examiners (ACFE), “the typical U.S. business loses 7% of its annual revenues to employee fraud”. Small businesses have the most cases and the highest losses. Risk of fraud has increased due to the advancement of technology and progressive development of the world into a global village. Organizations should develop multi-layered fraud prevention strategies while keeping these statistics in view. The employee is working extra hours. Petty cash and supplies are decreasing rapidly. The employee is frequently taking work home. The employee has an unusually close relationship with vendors. Employee is obviously spending more than they are earning. Along with annual and quarterly audits of assets, a system for uninformed audits should also be developed. Under pressure of unexpected audits, employees are normally more likely to avoid stealing and fraud. Duties of the inventory management staff should be clearly delegated to prevent fraud. Purchase order issuance and receiving of stocks should be done by two different individuals. In inventory storage areas, CCTV cameras should be installed to prevent employee theft. Only authorized personnel are allowed to enter areas where there is a lot of inventory or financial information. It should also be kept locked during off hours. Keys should be issued to specified individuals only. Blank checks are not accessible to anyone and should be locked until required for bookkeeping. Review of monthly bank statements helps in detecting fraud in the form of tampered checks. For reimbursing random employee expenses, demand a receipt of those expenses which the employee is claiming. A company must have a documented expense reimbursement policy. A clear segregation of reimbursable expenses should be defined in that policy and every employee must receive a copy of reimbursement policy. A comparison of the expense reports submitted by different employees should be made to evaluate the legality of expenses. To prevent fraud at this level, maintain a list of approved vendors and do research to ensure the legality of the vendors. If you don’t practice this simple plan, then you may be paying fake companies. The approved price list should also be maintained to avoid payment at higher rates. Sign a check only if a signed receiving of the product is attached. Sensitive transactions should always be accomplished after approval of a manager. Regular updates of customer account statements prevent fraud at this level. Rotation of duties and sending the employee on annual leaves and vacation prevents employee theft because the employee has the terror of easy detection by others. Cash and payment handling by employees should be minimized to prevent cash theft. Payments should be received directly into a bank account of the company. Discrepancies in cash can be detected easily by counting the cash and comparing it with receipts. Install video cameras in sensitive areas where cash is handled to prevent stealing. Fraud prevention and fraud handling are very essential to secure your business. Following the above shortcuts in an organized manner will lead to an anti-fraud policy that actually works and strong internal controls. 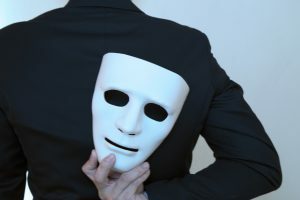 What are Telltale Signs that Your Business is the Victim of Fraud?